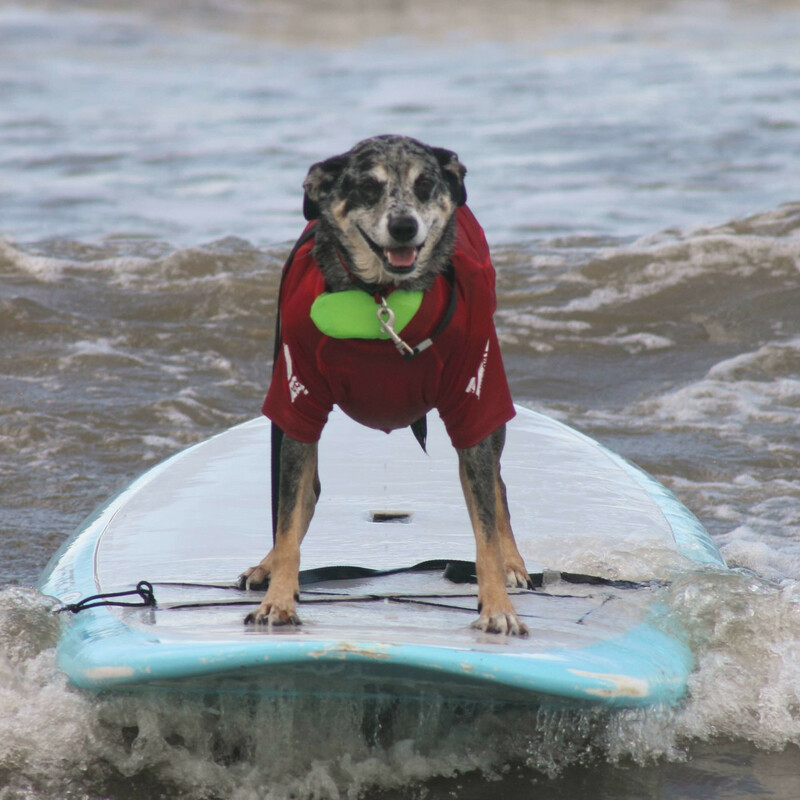 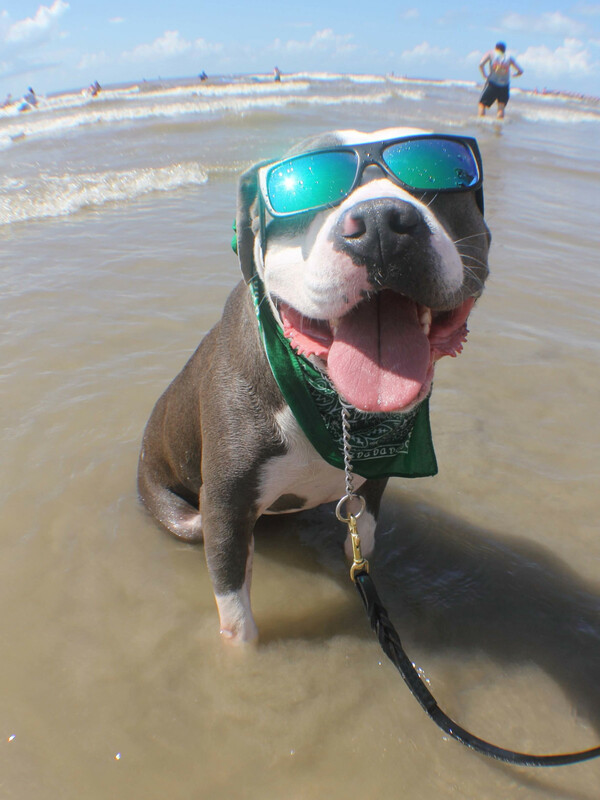 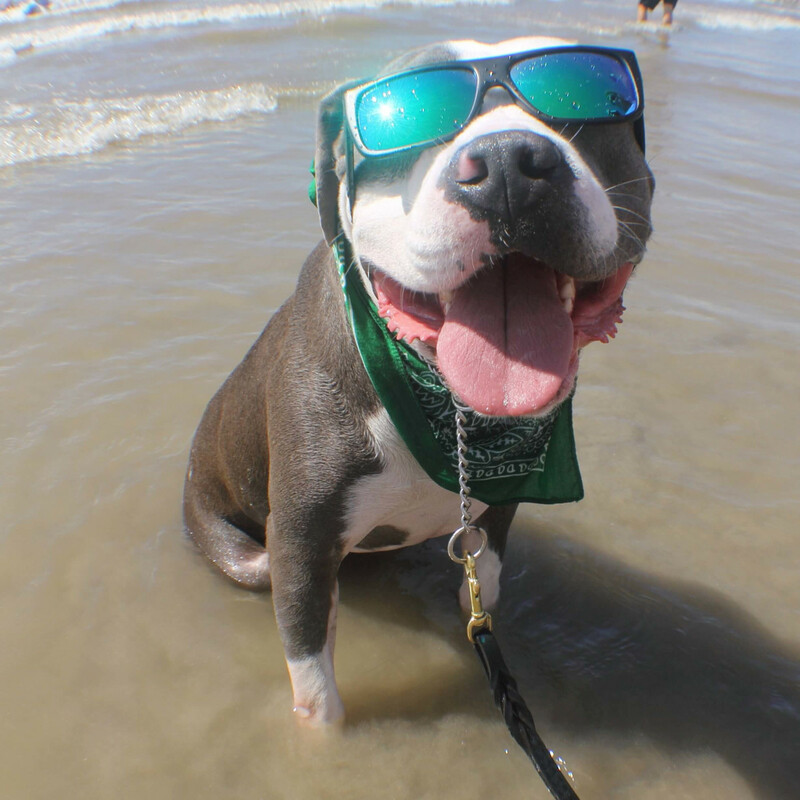 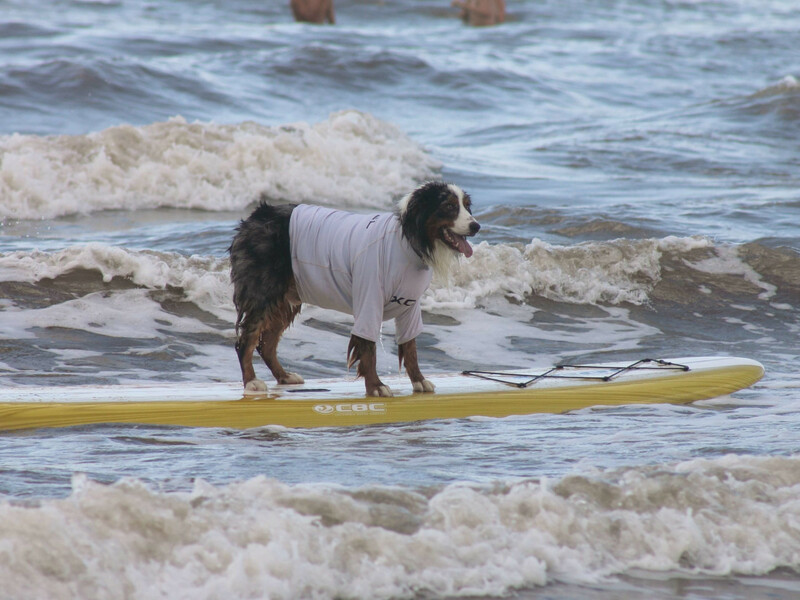 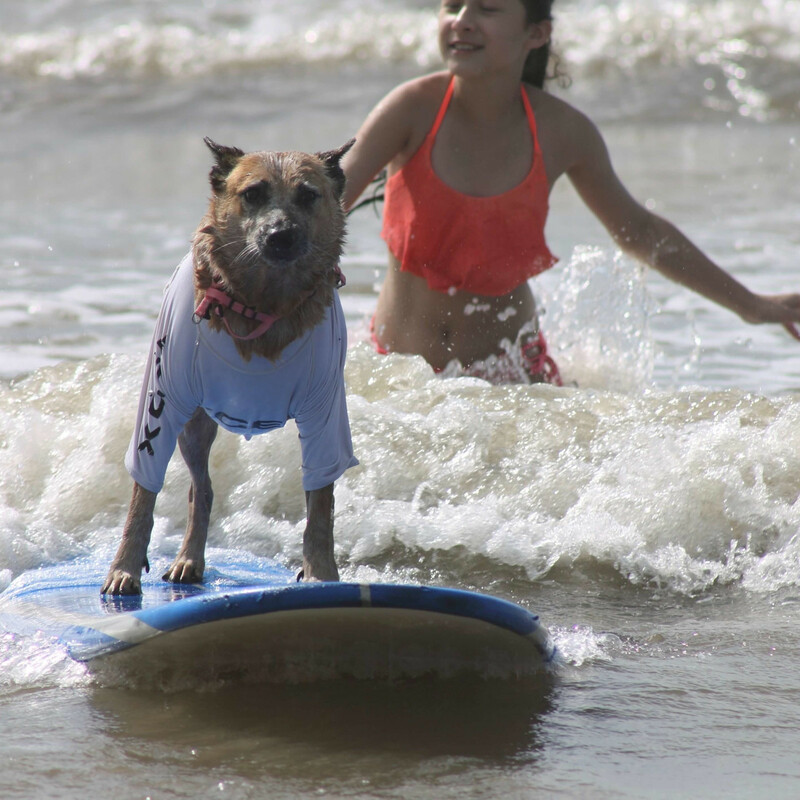 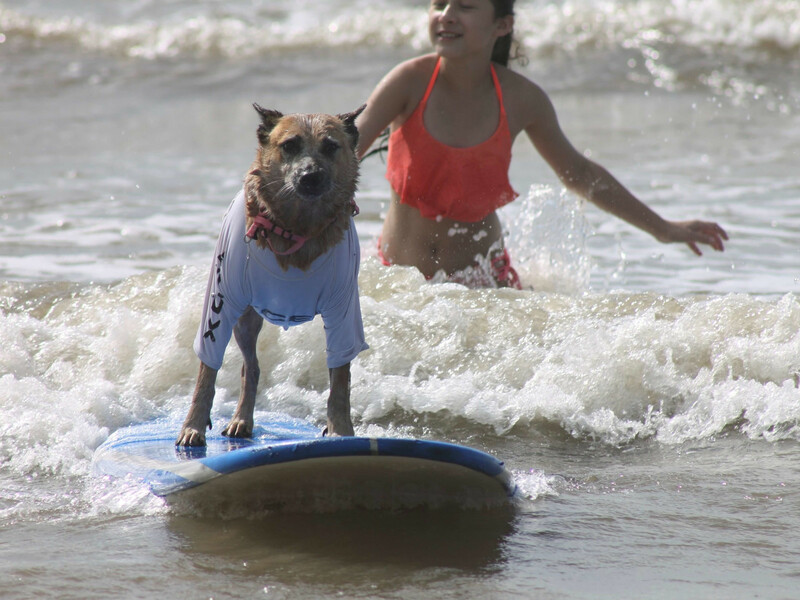 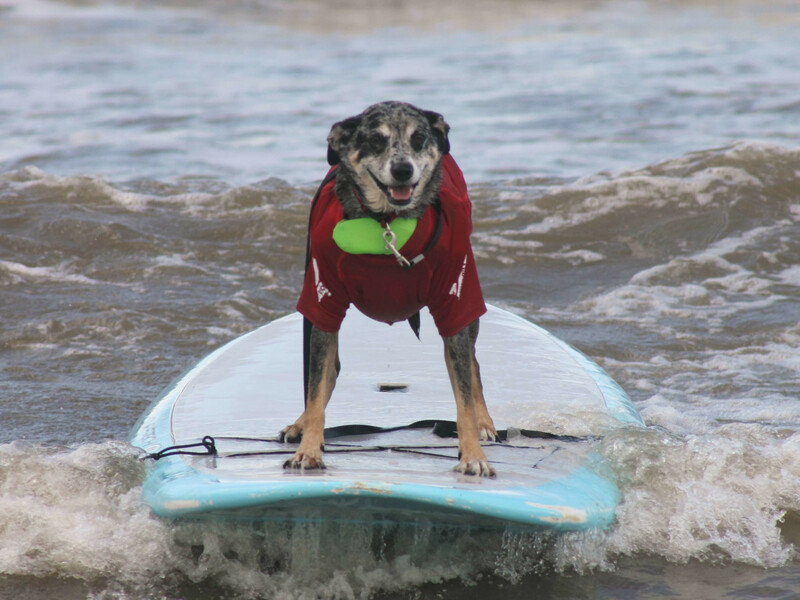 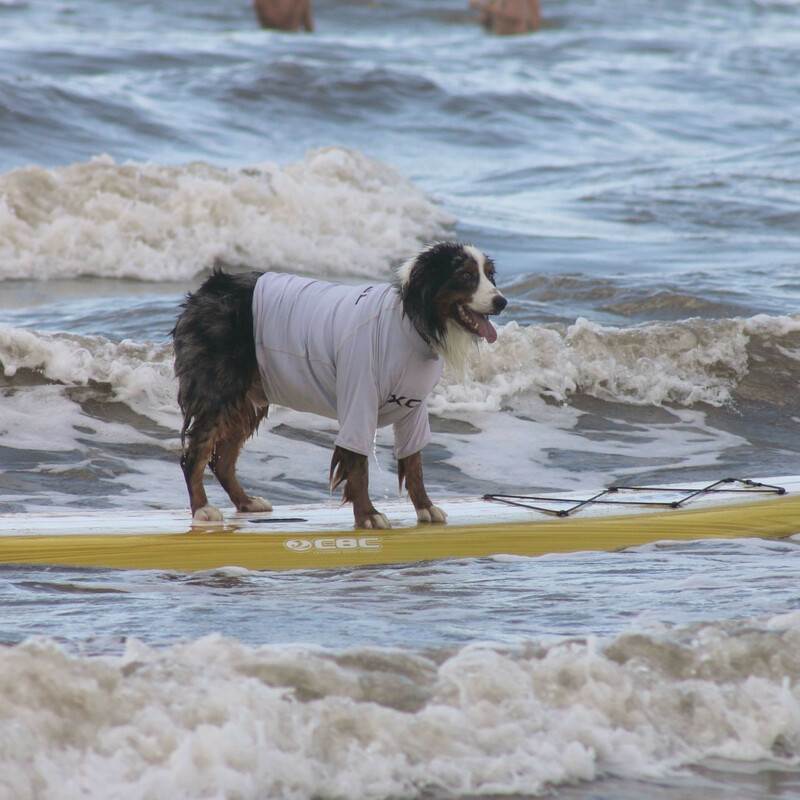 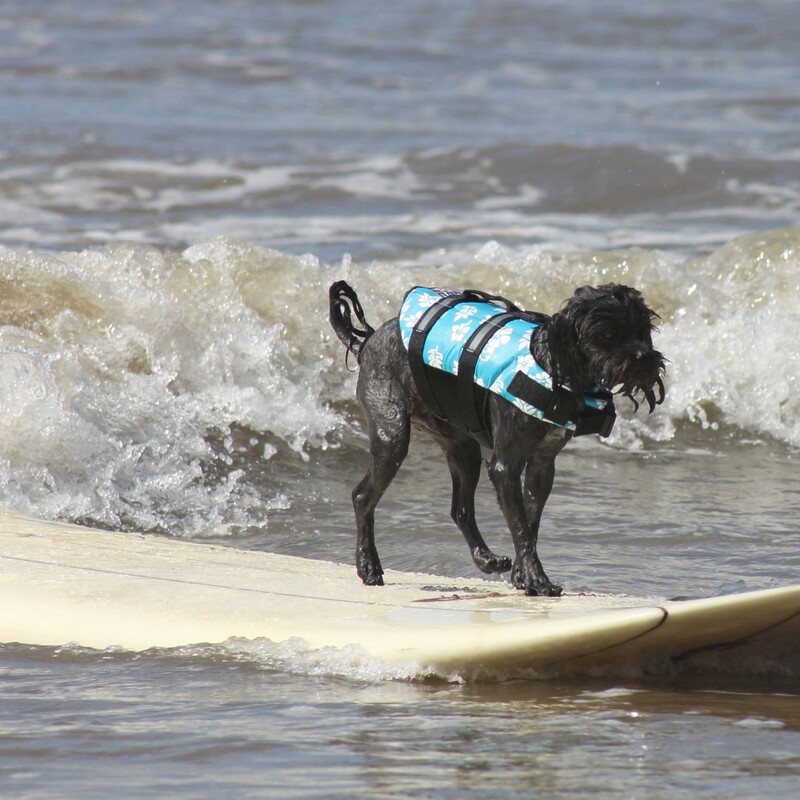 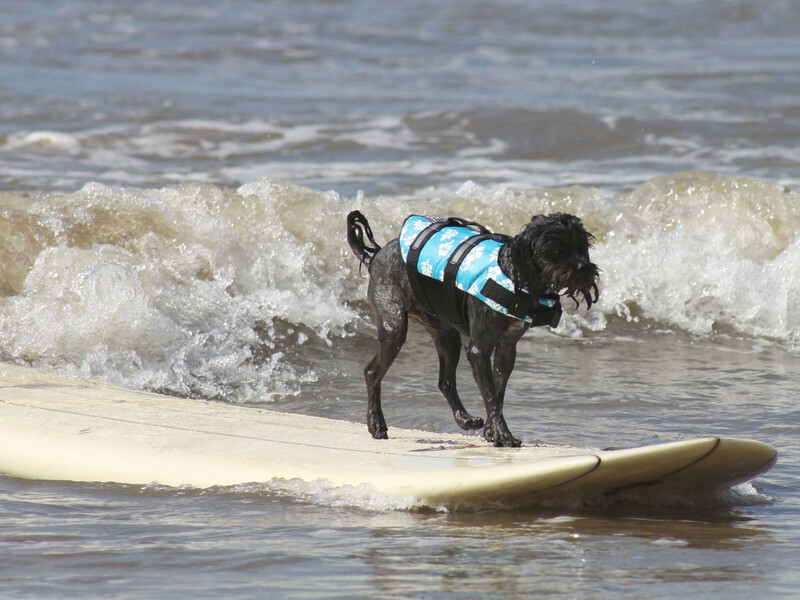 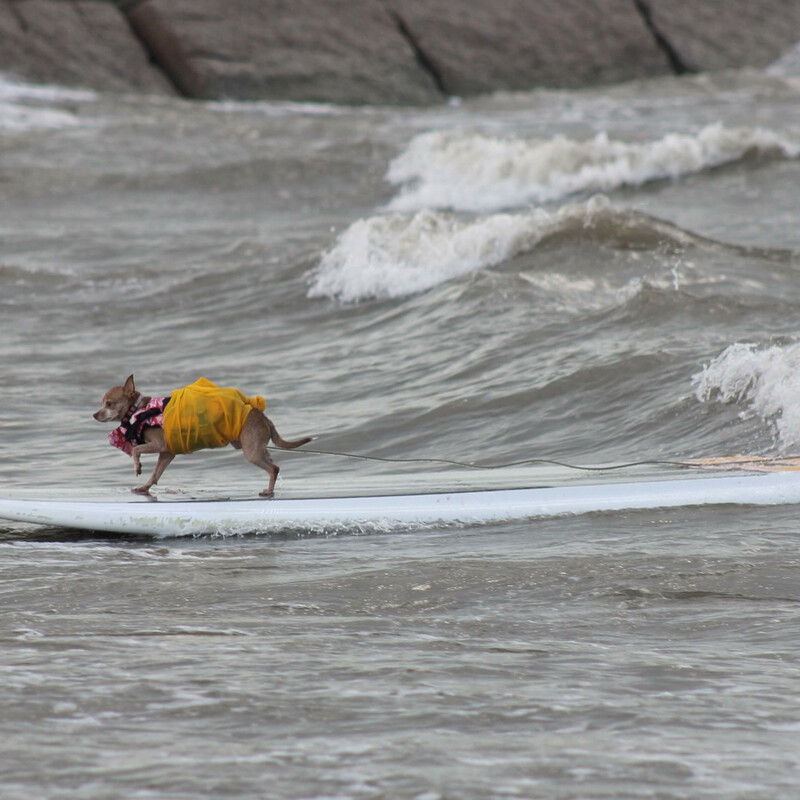 The beach just west of Galveston's Pleasure Pier was Surf Central last weekend as the Fourth Annual Ohana Dog Surf Competition brought out fearless pooches who weren't afraid of hopping on a surfboard and riding the waves. 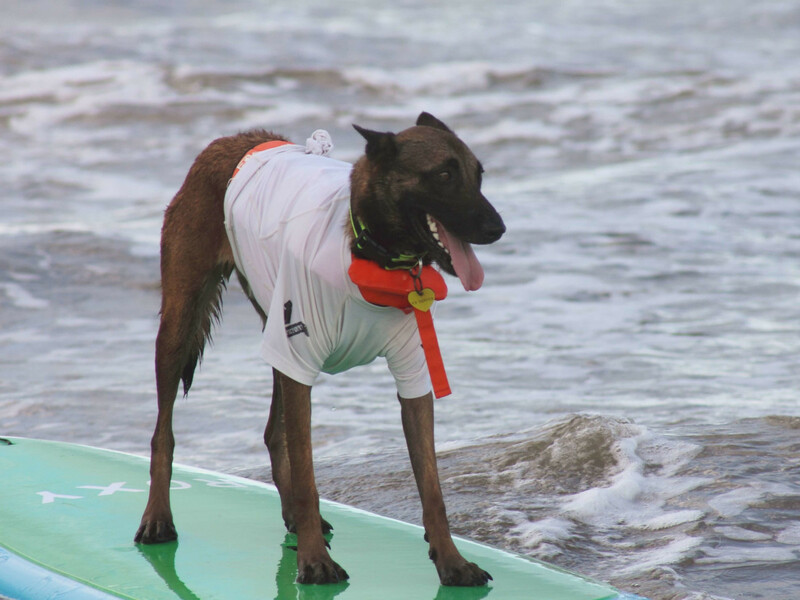 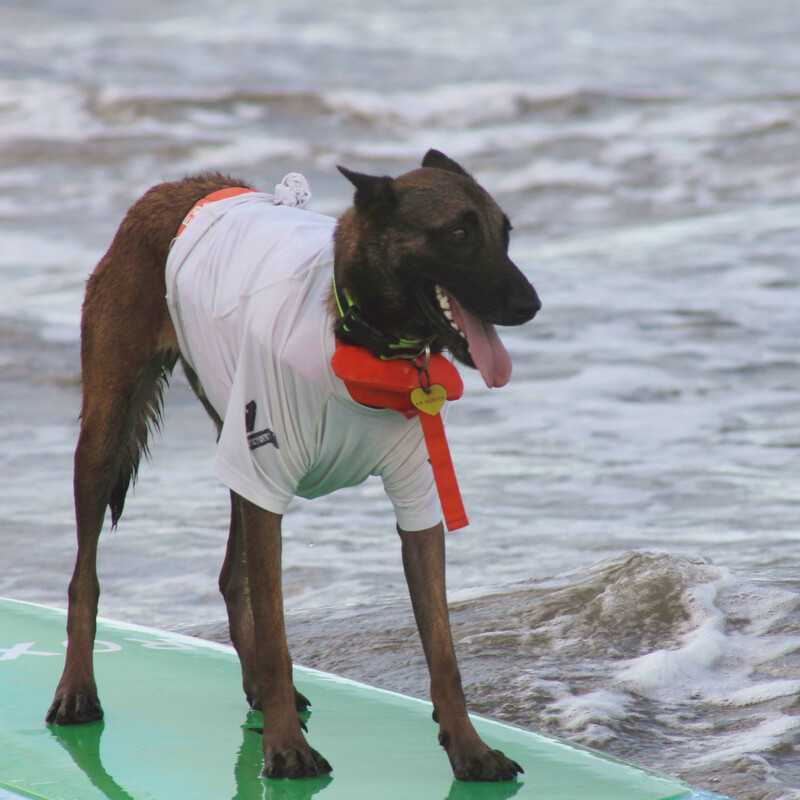 The fun event, held at Ohana Surf & Skate, a surf camp usually reserved for kids and private lessons for adults, brought out 26 dogs of all ages, breeds and sizes who faced off in an open competition. 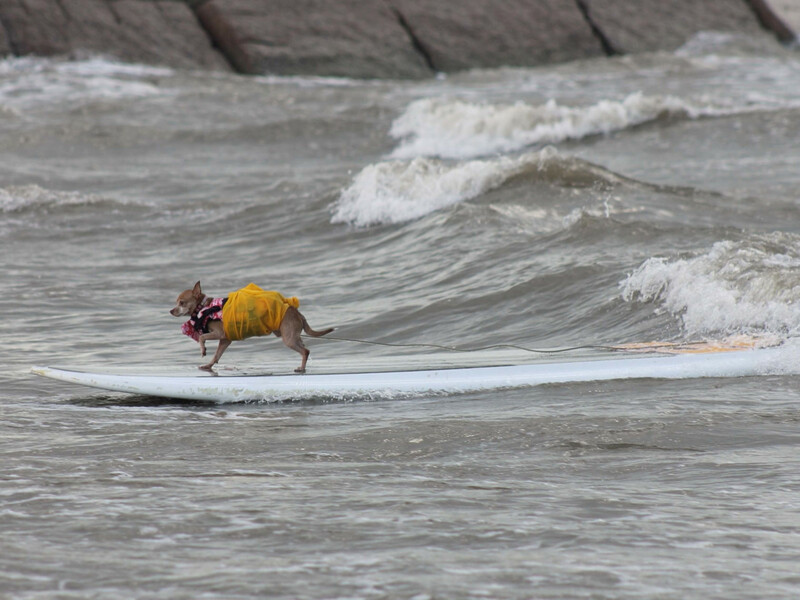 Contestants ranged from miniature Chihuahuas to large lab mixes. 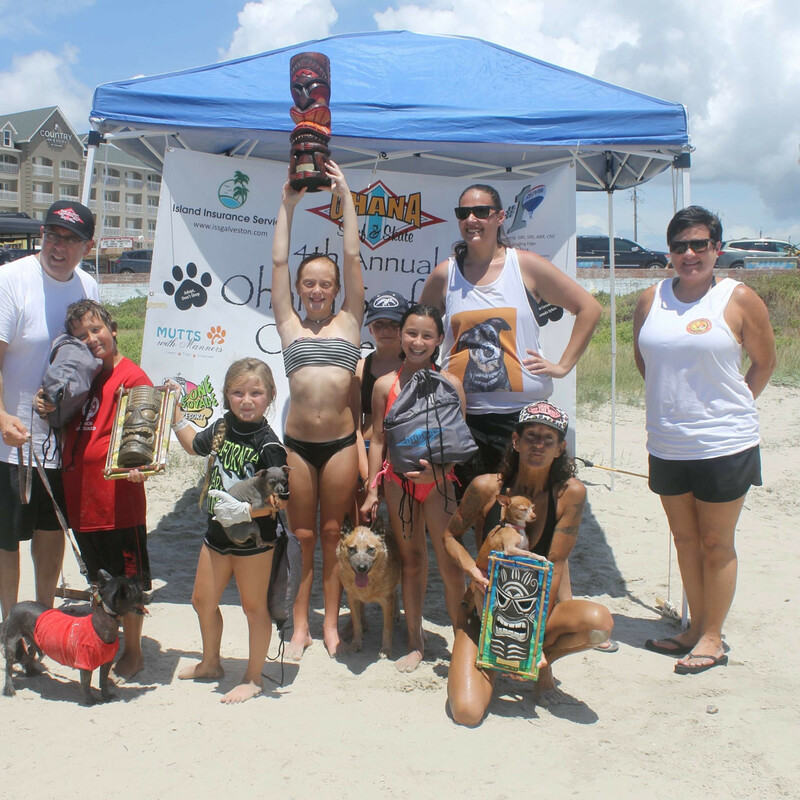 Crowd favorite Molly, a Red Heeler owned by Paul and Nicole Gavin, took top honors, followed by Chihuahuas Minnie Mouse and Tinkerbell and a hairless breed named Bruce. 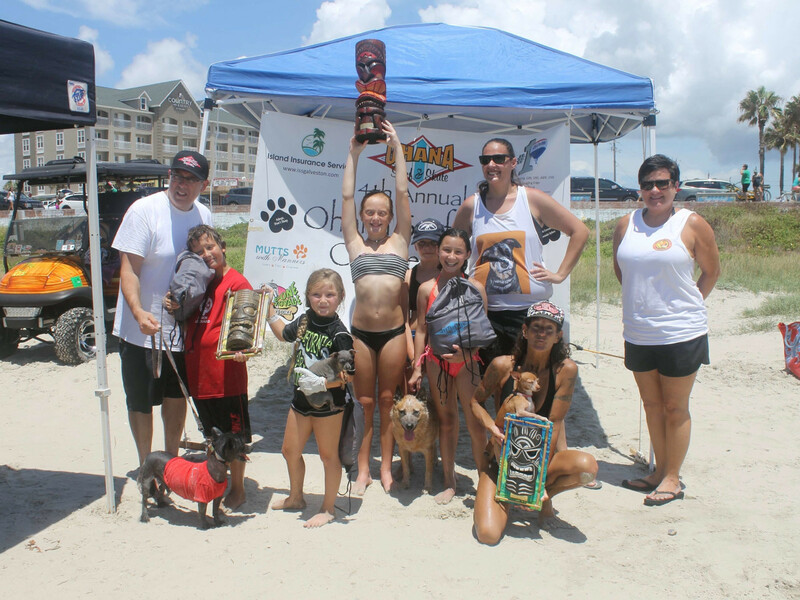 The Galveston Island Humane Society was the beneficiary of the event and also facilitated two pet adoptions — Nissan (a terrier mix) and Monopoly (a lab mix).